Catalog Page 5. Order 10" Patches Paw Bears. Embroidered noses with printed T-Shirts. Order 7" and 10" "Patches Paw" Bears. Stuffed bears with printed T-Shirts for sale. 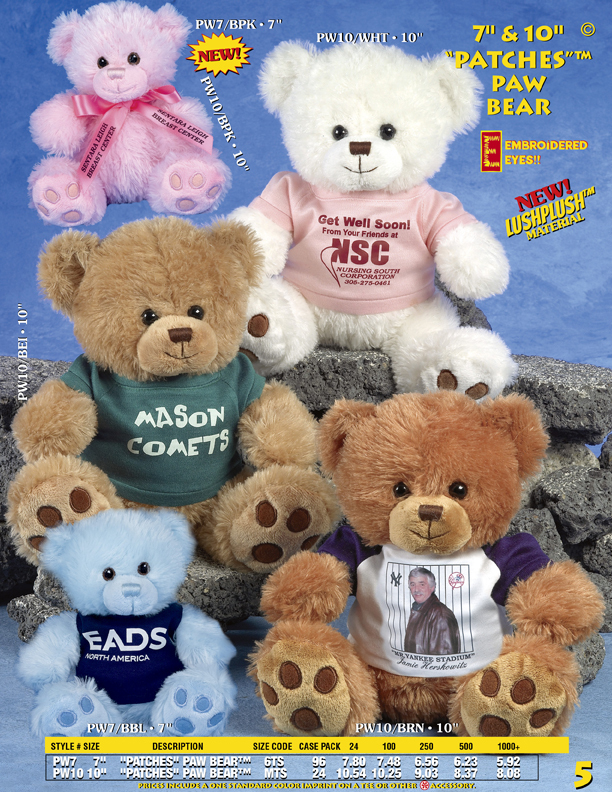 Order promotional teddy bears with T-Shirts featuring your logo or slogan. The pricing includes a one-color logo (black, white, red or blue). The Patches Paw bears are available in white, brown, beige, blue, pink and panda colors. The lead-time for production is 10 - 14 days.